2 Bedroom Flat To Rent in Weston-super-Mare for £695 per Calendar Month. 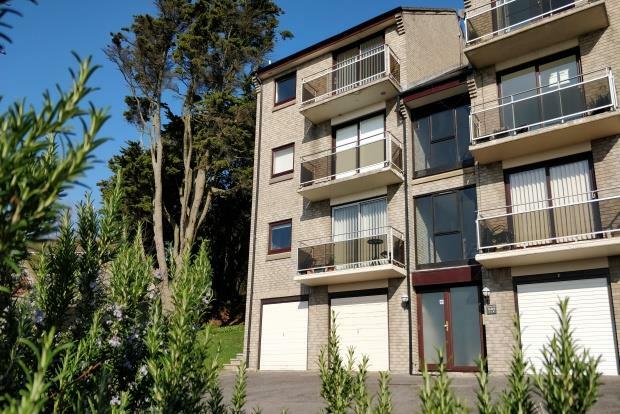 Situated on Weston hillside, this first floor flat is accessed by the communal security coded door where you take the staircase to the first floor. Opening the entrance door you are met with a hallway with built in storage cupboards and a security entry phone system. Turn left and you enter the wonderfully spacious lounge where you're drawn to the view that awaits you from the sliding patio doors, which span the width of the lounge to give a far reaching town, sea and coastal view. Come the summer, we can almost guarantee you will be enjoying a drink on the large balcony while you watch the world go by! Into the kitchen and you are surprised by its size as it can easily accommodate a table and chairs and has an ample range of wall and base units for storage, as well as a built in cooker and hob. The washing up will also feel like much less of a chore as again, the view from kitchen is wonderful! The bedrooms are both doubles and have fitted wardrobes. Being situated at the rear of the apartment away from the living areas and of course, being in a purpose built block, they should provide a restful night for even the lightest of sleepers. The bathroom comprises wc, wash basin and bath with an electric shower to complete the suite. The purpose built complex is surrounded by well tended communal gardens and is the perfect retreat for anybody that is searching for a property near enough, but equally far enough away, from the town centre and sea front. The property is completed with a garage. Sorry DSS or pets will not be considered.